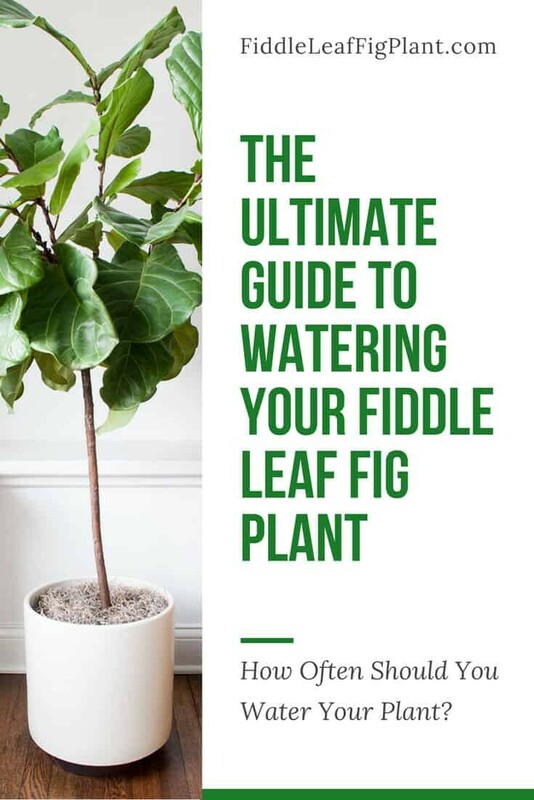 Watering your fiddle leaf fig plant can be overwhelming. 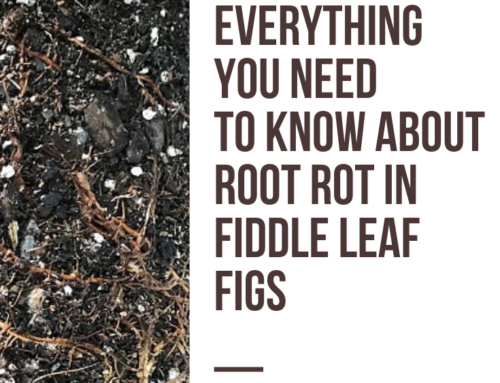 You’ve probably heard that fiddle leaf figs are hard to grow or finicky, which in large part is due to their specific watering requirements. If you water your plant too much (which is pretty common), you will kill it. If you don’t water enough, it will suffer. What’s a plant owner to do? Do you water more than once a week? If so, you’re plant is probably overwatered. Is the soil wet to the touch one inch below the surface? Stick your finger in and find out. If so, overwatering is likely. Do your plant’s leaves have dark spots or edges? This could signify too much water. Are their flies or a musty smell in your plant’s soil? Too much water is the culprit. Are the newest leaves smaller than the existing leaves? They may be lacking water or nutrients for growth. Is your plant dropping leaves? This can be caused by low humidity or thirst. Is the top inch of soil very dry? Your plant may be thirsty. Are the edges of your plant’s leaves brown? They may be dry. If you’re not sure whether you’re over or under watering your plant after asking yourself these questions, you are probably overwatering. Plant owners who worry about their plants a lot tend to over water. If you’re reading this article, you obviously care about your plant, so you are more likely watering too much than too little. 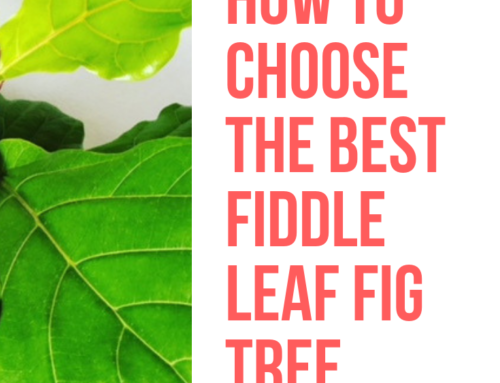 How Often Should You Water Your Fiddle Leaf Fig Plant? The good news is that there’s a foolproof way to water your plant just the right amount. 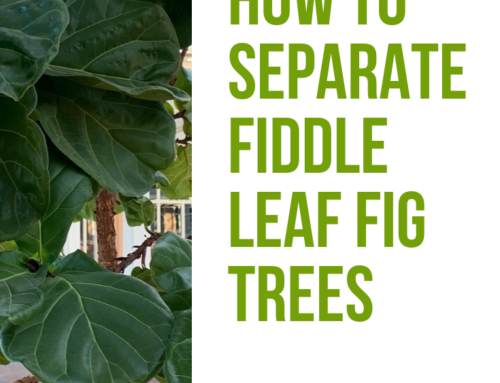 Fiddle leaf fig plants only need to be watered once a week! Set a calendar reminder to water your plant no more than once a week. I prefer to water my plants on Friday. Stick with your once a week schedule and your plant will get used to the conditions and really thrive. The best part about watering your plant once a week is that it will give you the confidence to know you’re not over or under watering your plant so you don’t have to second guess yourself or worry. Of course, this schedule will only work if your plant has proper drainage. Make sure your plant is potted properly and drains completely after each watering. To check, insert a wooden skewer to the bottom of the pot and make sure it’s not wet before you water. If it’s wet a week after you watered last, you need to improve your drainage in a hurry. How Much Should You Water Your Fiddle Leaf Fig Plant? You don’t need to drench your plant to give it enough water. To keep things simple, water your plant the same amount each week. For plants that measure less than 2 feet from soil to the tallest leaves, water one cup each week. For plants that are greater than 2 feet tall, water with 2 cups of water each week. If your plant is between 3 and 6 feet tall, use 3 cups of water. More than 6 feet tall? Water with 4 cups of water each week or just until your container drains. Never let your plant sit in water and make sure your container fully drains each time you water. Should You Feed Your Fiddle Leaf Fig? During the growing season (spring and summer) your plant will be putting a lot of resources towards growing new branches and leaves. To support a healthy plant, it’s critical to provide proper nutrition. Use a diluted liquid fertilizer each time you water (every week) in the spring and summer and every other time you water in the fall. Do not fertilize in winter while your plant is dormant and not growing. Try a liquid house plant fertilizer or Fiddle Leaf Fig Plant Food for best results. 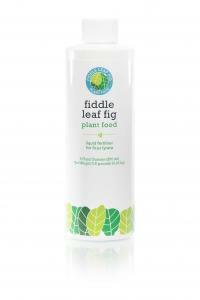 Fiddle Leaf Fig Plant Food is specially formulated to provide the optimal nutrition for your plant and comes with instructions for how to properly feed your plant. Order your one year supply of Fiddle Leaf Fig Plant Food online today. 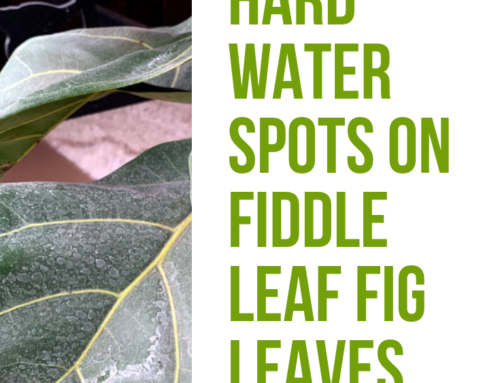 To help with watering your fiddle leaf fig tree, read all about how to use a moisture meter to know when to water your plant. 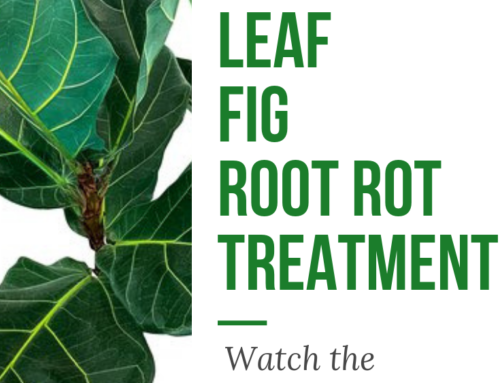 To learn more, sign up for our Fiddle Leaf Fig Care 101 Webinar and make sure you’re subscribed to our newsletter. I purchased my FLF at almost 6′ tall for a showhouse event but when the company delivered it to my job site I saw the reason he chose that one to sell to me so cheaply…..the stalk had been compromised and the tall beauty leaned greatly. I tried to be careful with it and propped it in a corner where it could be straight and after the show took it to my house. It was inside of a large wicker basket, in the plastic 5 gallon liner, sitting in a double layered plastic 4″ deep saucer. I think over time it has become a little stronger. BUT the leaves soon after started falling off and having brown edges on many of them. I thought it might have root rot and found it was sitting in a bit of stinky water, so I was overwatering it but it had so many brown edged leaves, I was watering once a week on Sundays but the seller told me it needed a half gallon every week, and to boot, the plastic liner underneath that they put under the plant leaked and caused my hardwood floor to buckle (Upon removal it has since laid down)!!!! I now have my once beautiful FLF in my garage by a window draining every week to about 4 cups of water every Sunday. It’s been a long hard winter and I have to keep it in a pot inside but can hardly lift it to water or to make sure no stinky water is in the bottom again. Do you have a diagram or can you suggest a method to plant my FLF in a 5 gallon bucket inside an indoor planter to insure air and drainage but not ruin my hardwood floors? and….why are the leaves and little chutes still crispy? I think it’s sick, my garderner gave me some good food for it and I have been letting the water sit in a gallon jug for a couple of days to knock down the chlorine before watering but I do have a whole house filter? All that to say, since the stalk is compromised should I start over or try to save this poor baby and when can I forsee new growth? Should it live on my covered porch when the weather can be counted on to stay warm?